Groupon Canada has a Red Carpet Sale going on. Save an extra 20% off select activities, spas, dining, massages and more. Use the promo code SALE at checkout to receive this discount. This deal ends on February 22 2019. Exclusions apply. Furthermore, you can save up to 80% off bedding, furniture and more. 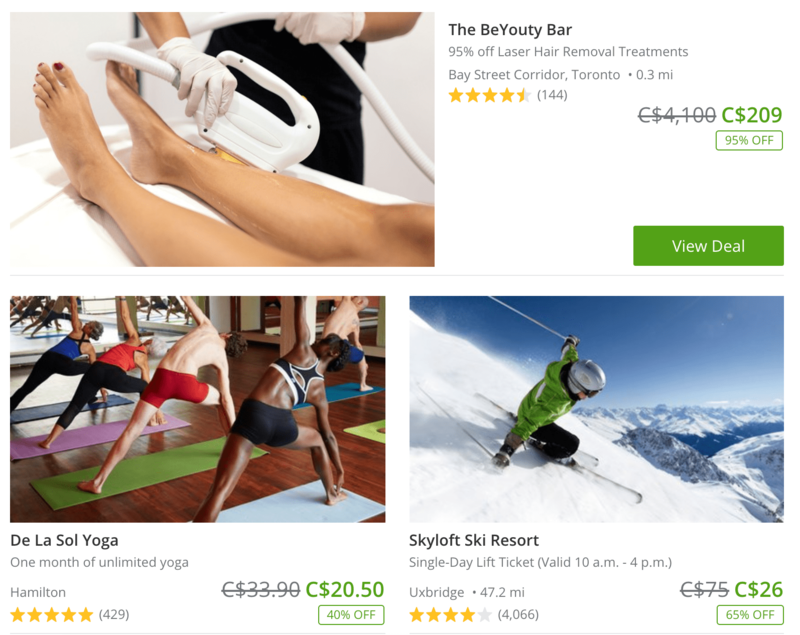 Click here to get Groupon Canada’s offers.